The “AKHANDA BHARATEEYAM” – 7th ANNUAL DAY Celebrations has been a thoughtful, engaging treat to the eyes & hearts of the audience. It also has the pride of having the Legendary Chukka Ramaiah Garu as the Chief Guest who was overwhelmed with the performances & showered his blessings & appreciation for the Unicentians. 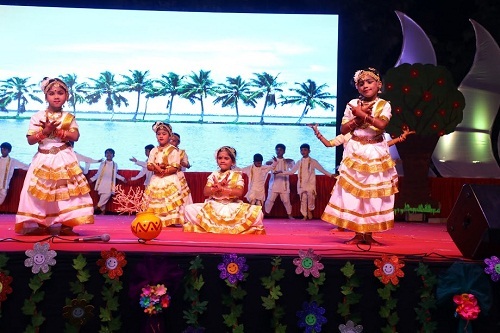 Annual Events at UNICENT SCHOOL, KOMPALLY are just not mere platforms for students to present their artistic skills & overcome stage fear – they are great source of enhancing their self expression, imagination, presentation, diction, creativity as well. The involvement of students expands into arenas of planning programs, designing invitations, props making.